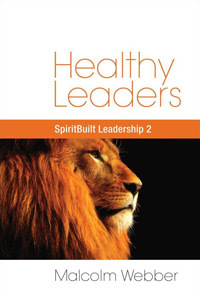 In a previous Letter, we noted that Jesus concentrated on building only a few leaders. Moreover, He intentionally varied the relationships that He had with them according to their future callings. We will now consider the different groups of emerging leaders who enjoyed various levels or depths of relationship with Jesus, the nature of their relationships, and the results. We could call this group, Jesus’ “extended team” of leaders. They received His basic teaching, they learned from watching His personal example, and they were directly commissioned by Him to their ministries. These 70 disciples accomplished extensive ministry on Jesus’ behalf (Luke 10:1-20). We might call this group, Jesus’ “core leadership team.” Along with everything the 70 disciples received, the 12 apostles were given additional special attention by Jesus. They received special teaching (e.g., Matt. 20:17; Mark 9:35), special experiences (e.g., Mark 14:17ff; Luke 9:1-4, 12-17; John 6:67) and personal communication and fellowship with Jesus (Mark 3:14). This group of 12 (minus Judas, of course) became the top leadership team of the entire church (e.g., Acts 6:2, 4). Then, within the group of 12 apostles, were the 3: Peter, James and John. In addition to all the teaching and developmental experiences that the 12 apostles were given, the 3 also received some additional personal experiences that were profoundly transformational. They were with Jesus when He was glorified on the Mount of Transfiguration (Matt. 17:1-9), when He raised Jairus’ daughter from the dead (Mark 5:37-43) and when He wrestled with the agony of His upcoming crucifixion in the Garden (Mark 14:33-34). These 3 men were Jesus’ intimate friends, His confidants. In a special way, they shared both His joys (e.g., on the Mount of Transfiguration) and His struggles (e.g., in the Garden). Within Jesus’ top leadership team, these 3 men became the key leaders of the church. Significantly the 3 are all named by Paul in Galatians 2:9 as being the “pillars” of the Jerusalem church in the early days. James was no doubt the main leader of the early church in Jerusalem. Peter became the “apostle to the Jews” (Gal. 2:8), preached the message on the day of Pentecost that resulted in the first major harvest of souls (Acts 2) and was the first apostle to officially share the Gospel with the Gentiles (Acts 10). Finally, Jesus had His closest, most intimate relationship with John. John was Jesus’ very intimate friend. John was with Jesus along with Peter and James during Jesus’ special joys and struggles, but John enjoyed an even closer relationship with his Lord. As “the disciple whom Jesus loved” (John 13:23; 19:26; 20:2; 21:7, 20) John laid his head on Jesus’ chest (John 13:23)! an extended leadership team of 70. In our next Letter we will discuss the practical implications of this model for us. This month’s recommended website is http://www.missiology.org. Some valuable reflections on various missions issues by Dr. Gailyn Van Rheenen. This month’s recommended book is Cultures and Organizations: Software of the Mind by Geert Hofstede. Excellent introduction to the organizational implications of culture.